Fun Fact: I have been to all 50 states! Many of my family, friends, and mentors thought I would be a good nurse and that I would enjoy the professional development involved. I did A LOT of background research and preparation to decide how and when to go to nursing school. I knew I was doing the right thing when I enjoyed my prerequisites and was excited about the nursing curriculum. I get to work face to face with patients and families every day. I also get to participate in the science of nursing by doing research. Nursing has dozens of trajectories that all lead to very different lifestyles and a variety of specialties. I could decide to go into nursing informatics and help engineer the programming we use in the hospital or I could go work in the OR as a scrub nurse. There are so many options. Remembering self-care. Nursing is a physically, mentally, and emotionally challenging job, especially at the bedside. Fortunately, many organizations provide support with this aspect. I work a 12 hour shift, three days a week. I get to work at 7AM and leave around 7:30PM. I get a report on how my patients did overnight and then implement treatments for them throughout the day in conjunction with the medical team, social workers, and physical therapy. Just like there are many career trajectories, there are also many different educational trajectories. Diploma programs, Bachelors, Masters, Doctoral (Clinical and Research), and Certificates. Talk to someone who has pursued nursing as a “second degree” or a second career to give you guidance on what will be the most cost effective degree for your goals! Fun Fact: I am part of Denison Posse #1 and Sigma Gamma Rho Sorority Inc. I was a very sick child. I spent most of my childhood in the Cook County Hospital of Chicago, IL because I was also uninsured. This experience directly impacted what I wanted to do in my life, and that was to be an “ambassador” for world health. This led me to Chicago Vocational High School in which I became a Certified Nurse’s Assistant at 16 years old and a Licensed Practical Nurse at 18. During my first semester at Denison, while others were having fun, I was studying to pass the state board of nursing. At Denison, I majored in communication while completing pre-professional course work. My specialty is in gerontology and Medical Surgical Nursing. Nursing chose me. Nursing is not just my profession, it’s who I am. The field of nursing has allowed me to fulfill my love for both STEM and Liberal Arts. I love science (especially biology) as well as writing and research. I have the opportunity to experience the science of healthcare through pharmacology and pathophysiology but also train others and do public speaking workshops on qualitative matters that affect the human aspects of disease maintenance. This makes me an informed, compassionate resource for the field. It is challenging to see good people die in a failing system. In this field you get to know the patients and their families personally. Many times people perish for the lack of knowledge or access to care. Healthcare often blurs the lines of business and ethics and the two are very challenging to wade through. Our political environments are constantly changing and humans are directly affected every day to the point of death. Healthcare is a field that does not stay the same. Sometimes a patient can miss an opportunity for a life sustaining treatment by one day because of funding cuts or changes in legislation. It is devastating and can take an emotional toll on everyone involved. There is no typical day in the life of a healthcare professional which is one of the many reasons I love the job. This job will always present you with new people, new discoveries and new ways to treat the ever evolving human. Nursing is a multi-faceted career that touches almost every aspect of the human existence. 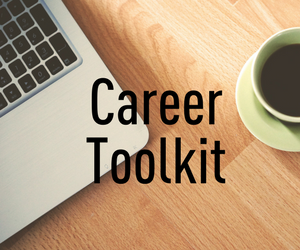 It allows you to explore, expand, and combine your many passions to make for a fulfilled career. Nursing can open doors into fields such as higher education, law, government, pharmaceuticals, international affairs, social work, mental health, travel and even the food and drug industry. I have never regretted my choice to become a Doctor of Nursing Practice. This is my calling.